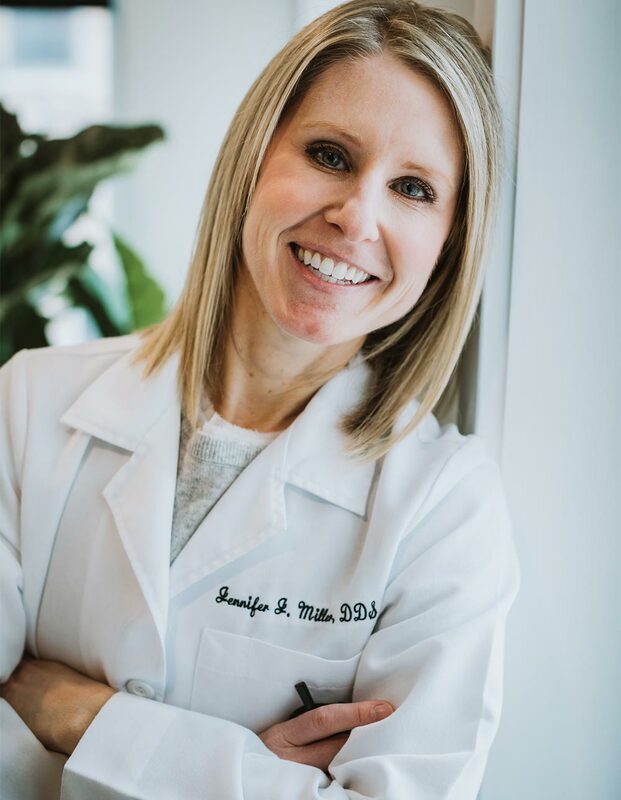 Growing up in Dublin, Dr. Jennifer J. Miller is a proud graduate of Dublin Coffman High School. She went on to earn a bachelor’s degree in Zoology from Miami University of Ohio. Pursuing her dream to be a dentist, she received her Doctorate of Dental Surgery from NYU College of Dentistry in 2007. Following graduation, she completed a General Practice Residency at New York Medical College ­ Metropolitan Hospital. 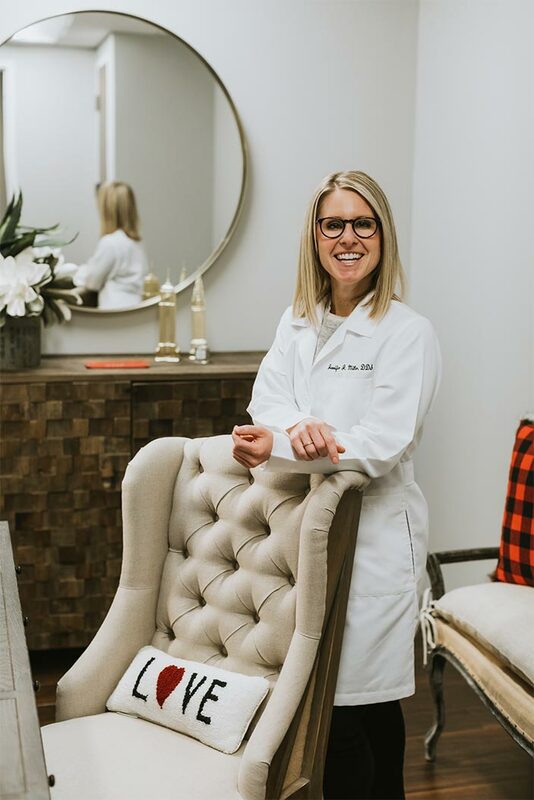 Her hospital residency provided her with advanced training in the areas of emergency medicine, managing complex patients, implant dentistry, oral surgery, orthodontics, and pediatric dentistry. To give her patients advanced cosmetic options, she is an Invisalign® Preferred Provider and has completed the Implant Fellowship at The Ohio State University under the distinguished Dr. Edwin McGlumphy. She is a member of the American Dental Association and Academy of Osseointegration. Beyond dentistry, she is an avid runner, practices yoga, has her private pilot’s license, and enjoys cheering on the Buckeyes! With a heart for serving others, Dr. Miller volunteers with the Free to Smile Foundation and Global Dental Relief. As part of cleft and dental teams, she has served impoverished children in Cambodia, Tibet, Niger, Nepal, Colombia, Guatemala and Ethiopia.